With great success comes great immigration and for the past seven years the government has been determined to reduce immigration. The UK, and London in particular, has always been a fantastic place for global entrepreneurs to start and run a business, much to the bewilderment of the locals. An accident of geography provides the perfect time zone and climate for day long, year round activity; an accident of history provides the perfect language, legal and political system exported the world over. It’s a small country really so you’re never far away from a good lawyer, banker, marketer or flat white. Most native Brits will wistfully talk of retirement to sunnier climes and can’t really understand why so many people want to live on an island in the North Atlantic where the sky is perpetually grey. “Things just work here”, is the answer I get from most clients. So, there we have it; an orderly, English speaking country with an educated population, addicted to the internet, with free access to the world’s largest commercial market on its doorstep. Even the food’s pretty good these days. Of course, tech companies have flocked to the UK and employed thousands in their wake. The government must be delighted and indeed certain ministries such as the Treasury definitely are, but the Home Office is not so keen. The problem is that with great success comes great immigration and for the past seven years the government has been determined to reduce immigration, even at the cost of success. At the forefront of that determination was one Theresa May, long-time Home Secretary, now Prime Minister. A change of tack seemed unlikely before the June 2017 election, but now there are rumblings from senior Conservative ministers that reducing immigration at any cost to the economy may require a re-think. With Brexit, the government sensed opportunity to fulfil its long promised policy objective of “reducing net migration to the tens of thousands”, cutting off the easy supply of labour from the rest of the European Union and making it increasingly expensive to recruit from the rest of the world. Even before Brexit has landed, the numbers of registered nurses coming to the UK from Europe has dropped a staggering 92 per cent and British farmers are warning of acute labour shortages for the coming harvest without their Eastern European workforce. A recent report warned that as many as half of skilled European workers were contemplating leaving in the next five years. With the unemployment rate at record lows, the resident labour market is looking increasingly constricted. Employers naturally look overseas for vital skills or labour to meet demand. European nationals were easy to recruit but this supply is in jeopardy. Outside Europe, recruitment of migrants is even harder and a magnitude more expensive. Tech bosses are right to be concerned but should not despair. The government is keen to be a friend to the tech industry. Supporting tech, along with manufacturing, is always guaranteed to generate waves of positive headlines. No government ever won an election promising more lawyers. Looking to the post-Brexit immigration system, the government announced on 26 June 2017 that it wanted to guarantee the rights of all European nationals currently in the UK and those that arrive up to the point of separation. This will involve a mandatory registration process which the government has promised to be smooth and simple. Whether this proposal becomes law is subject to much negotiation but it indicates a direction of travel. The immigration system after separation is open to speculation, but the most likely outcome at this stage is to bring European workers into the existing Tiers 1-5 of the Points Based System rather than a complete overhaul. By doing this, the government can control migration and relax requirements where particular shortages are identified or for key businesses. Small tech companies can already benefit from certain roles, such as cyber security experts, being on the shortage occupation list for example. The challenge for the tech industry is to develop a compelling case for the government to keep making exceptions for it. It can do this by lobbying, by investing in the UK and - most importantly – taking the lead in developing home grown talent. The UK government’s approach to skilled migration is to ask why a business has not tried to find those skills in the existing market and, if they’re not to be found, why not encourage them? If the tech industry can’t find the will to grow and cook its own meals, the government is going to increase the taxes on your easy takeaways. To torture the analogy further, you reap what you sow and tech needs to get planting. Apprenticeships are a great way to start or how about sponsoring bright young British tech potentials through universities? Law firms have been doing it for decades and we now have so many lawyers, legal services is a major export business. 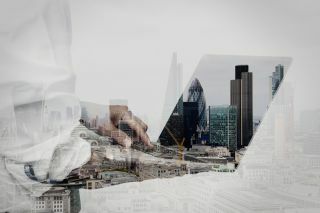 “London has the richest, most diverse and most exciting ecosystem for tech companies in Europe, bar none,” was the opinion of tech investor and board member Tom Yoritaka at a recent Tech City event, explaining why he relocated from Silicon Valley. The UK’s tech sector has challenges ahead but the positives still outweigh the negatives for the time being. Other countries smell blood and are already manoeuvring to take London’s crown but they’ll need to work hard to even catch up. Those accidents of geography and history are not so easily overcome and, while the tech sector has yet to grow deep roots like banking and insurance before it, plenty of tech companies know that when you bet against London, you’re taking a huge risk. Increased immigration controls post-Brexit are a concern for many industries but the UK has had light regulation for a long time and the post-Brexit system will likely bring the country in line with much of the rest of the world - levelling the playing field. Casualties are inevitable in the jostle for your business, but the UK has much to offer a new company; sometimes by design, mostly by accident.